Celebrating the donation of $10,000 to the Glendale Union High School District Foundation are, from left: Jerry Simms, owner of Turf Paradise; Sandy Mendez-Benson, a parent and member of the GUHSD Foundation Board; and Kim Mesquita, GUHSD Administrator for Community Relations (submitted photo). 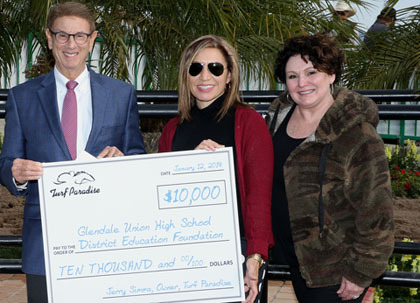 Turf Paradise celebrated its 63rd birthday on Jan. 12 with a gift of $10,000 to the Glendale Union High School District’s Education Foundation, as part of Turf Paradise’s #ThoroughbredForED initiative. The contribution is also intended to address the need for new sources of revenue for Arizona schools and the track’s willingness to help. Is your teenager looking for a great way to get involved at school, improve their college application, make new friends and create lifelong memories? Starting Feb. 4, spring sports season will officially begin and can provide your son or daughter with those opportunities. Spring sports include a wide variety for students to choose from including baseball, softball, boys/girls tennis and boys/girls track and field. For more information about spring sports participation requirements and athletic clearance, contact your school’s athletics department. The Shemer Art Center Gallery, 5005 E. Camelback Road, recently handed out awards as part of its annual New Horizons High School Art Exhibition, which runs through Feb. 14. Thunderbird High junior Taylor Hamaker received the Tanner-Whyman Award and the Sally Orchild Memorial Award for her stunning three-dimensional work, titled “For Ursula.” She is an Advanced 3-D Design student. Her work will be on display at Phoenix City Hall during the month of March. Other New Horizons winners included: Maya Thomas of Sunnyslope High, who earned the Alan & Terri Bandler Award and the Garnett Family Award for her work, “Meti Bates”; and Elyana Chacon of Washington High, who received the Michael & Carmella Blank Award for her work, “Flipped Perception.” All awards come with cash prizes. New Horizons is Shemer’s annual, valleywide high school student art exhibition that showcases local talent from two students nominated by each participating high school. More than 40 schools participated this year. A total of 25 donors contributed 41 award scholarships totaling $2,950. The Madison Education Foundation has named Amy Marschel as its new executive director. The foundation is a nonprofit organization dedicated to improving the quality of music and arts education for every child who attends the Madison Elementary School District. The foundation provides teacher innovation mini-grants and field trips to museums and arts venues, and will also serve as a key community partner in supporting the new voter-approved Madison Center for the Arts. “Supporting public education, teachers, and students has always held a special place in my heart,” says Marschel, who joins the Madison Education Foundation after a stint with the city of Tempe as an administrative supervisor. 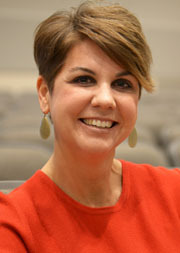 Her previous experience includes service as director of the Tempe Union High Schools Education Foundation. She has also worked as a junior high special education teacher and owned and operated a tutoring company. Her primary role will be directing the day-to-day operations of the Foundation and work with the organization’s Board of Directors. For more information on the Madison Education Foundation, visit https://madisoneducationfoundation.org. The Madison Elementary School District and the Madison Education Foundation host the annual “Madison Dash to the Bash” 5K Community Run/Walk on Saturday, March 9. The event features a morning run/walk through North Central Phoenix followed by the Madison Bash, an annual exhibition and celebration of Madison Elementary School District students and the arts. For competitive racers, the event will be timed and scored with overall and age group awards after the run. Additionally, there will be a free 1K Mini Dash for runners 10 and younger. Registration begins at 6:30 a.m. at Madison No. 1, 5525 N. 16th St., with the race beginning at 8 a.m. The cost for the race is $35 before the end of February or $40 in March. Youth age 14 and younger pay just $15. All proceeds benefit the Madison Education Foundation, provides unique arts experiences to all Madison students. For registration information, visit http://madisondashtothebash5k.org/. A yard sale combining household items donated by more than 40 families will be held Saturday, Feb. 16 at Solano Elementary School, at 1526 W. Missouri Ave. Sponsored by Phoenix West Rotary Club, the event will include more than 1,000 items collected in recent months from Rotary members and other families throughout the Valley. Sale items will include everything bargain-hunting shoppers could hope for, from furniture and small appliances, to tools, books, toys, artwork and more. No items of clothing will be included. All proceeds from the sale will benefit the Osborn School District Foundation’s Teacher Mini-Grant Program, which Phoenix West Rotary has funded for the past five years. The program awards grants of up to $300 to support innovative classroom activities that improve students’ physical and mental health, literacy, math, science and the arts. The sale will be held in the courtyard areas at Solano School, which features abundant parking. Gates open at 9 a.m. For more information, visit www.osbornyardsale.com. Chandler Hovik, 24, has been selected as the new head football coach for the Central Bobcats. The Phoenix Union alumnus began his football career at Cesar Chavez High School as a quarterback, setting multiple school records. He returned to Chavez as an assistant coach and came to Central as the offensive coordinator this past season. Hovik attended Phoenix College and Arizona State University and has recently earned a master’s degree in educational leadership. Phoenix Union has nine teachers who earned their National Board Certification this year, including Richard Bailey at Camelback High, and Robert Baines at North High. Both are English teachers. Metro Tech’s Andrew Chapman, a Science teacher, earned re-certification this year. Considered the teaching profession’s highest honor, National Board Certification is presented by the National Board for Professional Teaching Standards to teachers who demonstrate, through a performance assessment, that they meet the high and rigorous standards for what accomplished teachers should know and be able to do. Phoenix Union currently has 67 National Board Certified Teachers. This is the second year in a row PUHSD has had nine new NBC teachers. Only Maricopa Unified had more this year in Arizona, with 11. Only 2 percent of teachers in the U.S. are Nationally Board Certified. Phoenix Union recognizes these educators with a $3,000 annual stipend. Eli Fuentes was named a BGCMP Youth of the Year (photo by Mark Skalny). 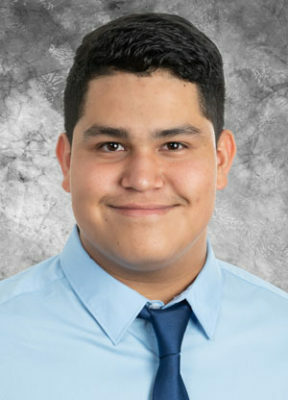 The Boys and Girls Clubs of Metro Phoenix held its annual Celebrating Youth event Jan. 11, and Central High senior Eli Fuentes was recognized as the 2019 Youth of the Year for his branch. Each of the 11 clubs identifies a Youth of the Year, and among those 11 teens a top Youth of the Year will be identified at the annual Today’s Kids, Tomorrow’s Stars event on Saturday, Feb. 23 at the Westin Kierland Resort & Spa (https://bgcmpstars.org). The branch winners spent 16 weeks honing their writing and presentation skills in specialized workshops with ASU West Communication Lab mentors, and worked on leadership development and team building. Fuentes has been attending the Harry & Sandy Rosenzweig club, 2242 W. Missouri Ave., since he was in fourth grade. He earned the State Keystoner of the Year title two years in a row, and has completed over 1,700 hours of community service during his time in his Keystone Club. Outside of the club, Fuentes works with nonprofits that serve homeless, refugees and children, is active in his church and plays in the church band. He plays varsity football and golf at Central, and is an honors student in DECA and Economics. Fuentes plans to attend Arizona State University, majoring in healthcare administration. Metro Tech Athletics has earned the Safe Sports School-First Team award presented by the National Athletic Trainers’ Association. The award champions safety and recognizes secondary schools that have met the recommended standards to improve safety in sports, and reinforces the importance of providing the best level of care, injury prevention and treatment. Metro Tech’s certified athletic trainer Lindsay Loughran applied for the award that assesses adherence to best practice standards and recommendations through in in-depth questionnaire. “This is a very big deal, as Metro Tech is not only the first school in the district, but in all of Maricopa County and the Valley to achieve this recognition,” Loughran said. Every Phoenix Union High School that participates in interscholastic athletics has a certified athletic trainer. These highly qualified health care professionals collaborate with physicians to provide preventative services, emergency care, clinical diagnosis, therapeutic intervention and rehabilitation of injuries and medical conditions. Gateway Academy, a school for Twice Exceptional students with Asperger’s Syndrome and High Functioning Autism, will host a fundraiser at Stand Up Live, 50 W. Jefferson St., at 7 p.m. Sunday, Feb. 10. All proceeds will be used to enhance the school’s Virtual Reality Lab, which opened on Jan. 23, by providing additional headsets, software and equipment for students. Headlining the event will be the Canadian stand-up comedian Debra DiGiovanni. There also will be a silent auction that includes items such as a 12 person suite for a Coyotes game, annual pass to the McCormick Railroad Park and a vacation for two. Tickets are $20 per person and can be purchased online through Stand Up Live at http://phoenix.standuplive.com. Tickets can be purchased at the door. For more information, call 480-998-1071 or visit https://www.gatewayacademy.us/. Madison Highland Prep, STEM charter high school, will be reviewed for AdvancED STEM certification in April. MHP is working to become the third high school in Arizona and one of only 32 high schools internationally to receive this prestigious certification for STEM education programs. Over the next three months, the school community will work collaboratively to gather artifacts showcasing our students’ engagement in STEM learning. AdvancED STEM certification provides a research-based framework to validate the quality, rigor and substance of STEM educational programs. Through the certification protocol, institutions and programs build awareness, increase expectations and demonstrate a commitment and ability to deliver high-quality STEM education. The certification, a mark of STEM distinction and excellence, demonstrates a school’s ongoing commitment and capacity to prepare students for STEM fields of study and work. For information, visit www.advanc-ed.org or call 602-745-3800. Each semester, Phoenix Christian Preparatory School offers high school students the option to join Chapel class, where students are given the opportunity to become leaders on campus. Students in the Chapel class are responsible for planning separate weekly chapel services for the elementary, middle school, and high school student bodies. Beyond cultivating leadership on campus, Phoenix Christian teaches students to be leaders in their community. This semester, the Chapel team will embark on a new journey of serving the local homeless population. The Chapel team will seek donations of blankets, water bottles, gloves, Bibles, and non-perishable foods and will deliver the items to homeless members of the community. If you would like to help the Chapel team in their endeavor, or donate any of the items listed above, contact Michael Eriquez at meriquez@phoenixchristian.org. For more information, visit www.phoenixchristian.org or call 602-265-4707.